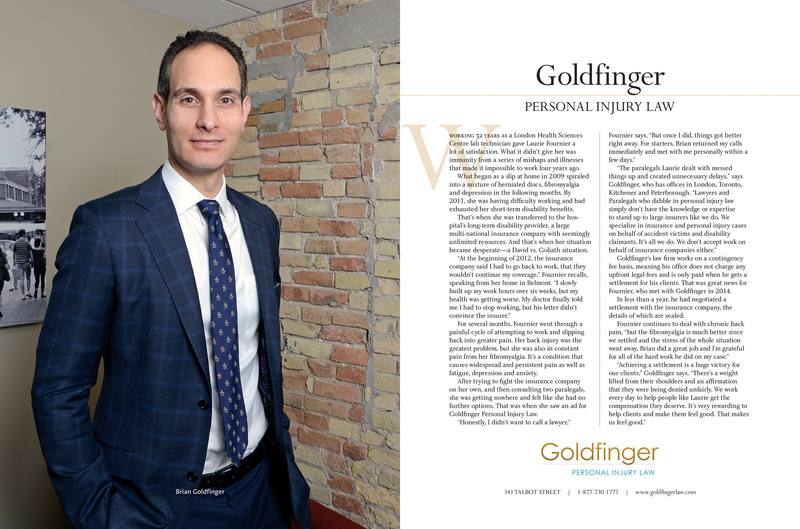 Recently, contingency fee agreements in Ontario for personal injury cases have come under attack. Seeing this sort of news is very disappointing and disheartening. A recent decision from the Ontario Court of Appeal on this issue was highlighted in the news. Here is a link to a quick article. I cannot comment on what the former lawyer did in that case, but it’s certainly does not appear to be good for the legal profession. A contingency fee agreement is a fancy legal term for an agreement between an client (injured accident victim) and a lawyer/law firm whereby the law firm’s legal fees are based entirely on the success of the case. If the lawyer works many many years, and invests many many hours on a case, but the lawyer isn’t able to recover any money on the case, then the lawyer gets ZERO. But, if the lawyer is successful in winning/resolving the case for fair compensation, then the lawyer gets paid their legal fees based on a percentage of the recovery in the case. If there is no money at stake in a case, then a contingency fee cannot work. Contingency fee agreements don’t only exist in personal injury cases. Other lawyers in different practice areas use them as well.Contingency fees in the context of criminal cases are rare, if not unheard of. I have never heard of a criminal lawyer take a case on the basis that s/he will only get paid if s/he wins on behalf of their client. I suppose it can happen, but what that fee will be for winning would have to be worked out at the outset of the case. In a contingency fee relationship, the client and the lawyer form a team. I like that. The more money the lawyer recovers on behalf of the client, the more money the lawyer can recover in legal fees. And vice versa, if the lawyer recovers ZERO, then the lawyer gets ZERO. This sort of arrangement works for a variety of reasons. I would like to illustrate one of the biggest reasons by sharing a story with you. When I was in University, I worked for Sears Canada. I worked in the hardware and paint departments. This was an odd fit, because I’m neither a handy person nor a painter. But, I must admit that I learned a lot; both about hardware and painting. The money I earned from Sears went towards my University education. I paid for school by working at Sears. For this reason alone, I appreciated that Sears kept me gainfully employed throughout my College years so that I could make ends meet. But,truth be told, I HATED Sears as a company. They treated me, and other employees poorly. There were constant shake ups in mid-management which impacted the scheduling, opening/closing tasks, specials, pricing, punch in/out procedures etc. If you’ve ever worked in a retail setting, you know how important these daily tasks are. The efforts of the employees was never enough. Sales figures were always too low. Sales targets were deliberately set too high and unrealistic. Employees were not given enough hours to enter in to the profit sharing program. But just because I hated Sears as a company, didn’t mean that I hated working there. I enjoyed my time working at Sears because of the friends I made on the job, and the great people I got to meet every day. The camaraderie of my fellow workers was next to none. Working at Sears left a lasting impression on me. Aside from the fact that I can still recall my Sears employee number, my time at Sears taught me valuable life lessons which have helped me succeed as a lawyer today. Some of the things which Sears customers were looking for were for outstanding products, outstanding service (both pre and post purchase), along with great pricing, pricing, pricing! This last category, that of cost/pricing, was the MOST IMPORTANT factor for the majority of customers. You could be selling the world’s best paint, or the world’s best hammer, but if the price wasn’t competitive or was so exorbitant, then the world’s best product wouldn’t sell. Price was often the driving factor behind a majority of purchases (or non-purchases). Even if the product was being sold at a bargain basement price, if it wasn’t FREE, then still it cost too much. Even if customers were getting a great deal, it was never enough. The same principal also applies to the practice of law. You can be the world’s best lawyer. But, for a majority of the public, no matter how reasonable, or how low, legal fees will always be too high. This principal is especially true for serious personal injury claims. One of the most commonly asked questions of me as a personal injury lawyer is how much do you charge. I sometimes ask these people how much did they think I ought to charge them for my services? A mechanic charges around $50-75/hr for labour. A plumber can charge around the same. A gardener can charge $15-30/hr. When I worked at Sears, I earned $8.64/hr. Some lawyers charge from $500-$750/hr. So how much should I charge as a personal injury lawyer? When given the option, the clients we interviewed would prefer to pay ZERO for hourly services, and instead work on a contingency fee basis. Even if the hourly rate of the personal injury lawyer was set at minimum wage throughout the course of the case; the injury and disability clients we interviewed would prefer NOT to pay a lawyer’s hourly rate as the case proceeded. These clients had neither the means, resources nor the stomach to pay as the an hourly rate as case proceeded; no matter how low that hourly rate was set! The contingency fee agreement was easier to understand, to digest and simply to deal with. Clients did not have to worry about monthly statements for lawyers’ fees, or worry about where they were getting the money to pay for legal fees. Instead, they knew that the lawyer and the client are a team, working on a mutual goal to maximise the value of the personal injury case. In addition, the contingency fee forces the lawyer to be efficient and effective. If the lawyer is neither, then the case will drag on and ultimately fail. The hourly rate works as a disincentive for the lawyer’s efficiency and effectiveness. The longer the case drags on, the more the lawyer can bill his/her respective client. The more money the lawyer bills, the more money the lawyer makes. 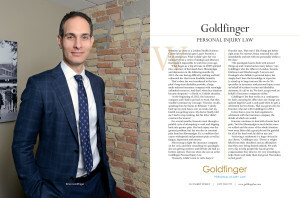 Taking in to consideration that accident victims are often fighting large insurance companies with unlimited means, a contingency fee agreement serves to even the playing field somewhat to increase access to justice. This point is significant, because in a battle of who has the biggest war chest, the insurer always wins. Instead of criticising contingency fee agreements in personal injury cases, we ought to be applauding them for giving seriously injured accident victims without the means access to the Courts. We should also examine what clients want. In our experience, clients in personal injury cases want their case taken on a contingency fee agreement. Ask a prospective client to pay a lawyer’s hourly rate up front, no matter how low, and that client will be shopping for a different law firm who will give them a more favourable fee arrangement. A contingency fee arrangement.